All parts are BPA free, Phthalate free, lead free, and cadmium free. 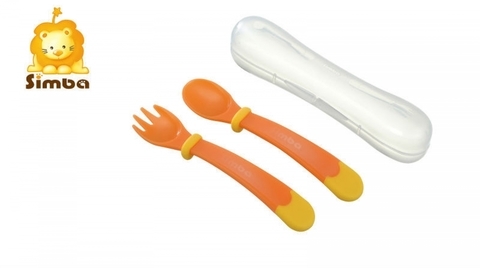 2.Compact storage case for easy carry around and better hygiene. 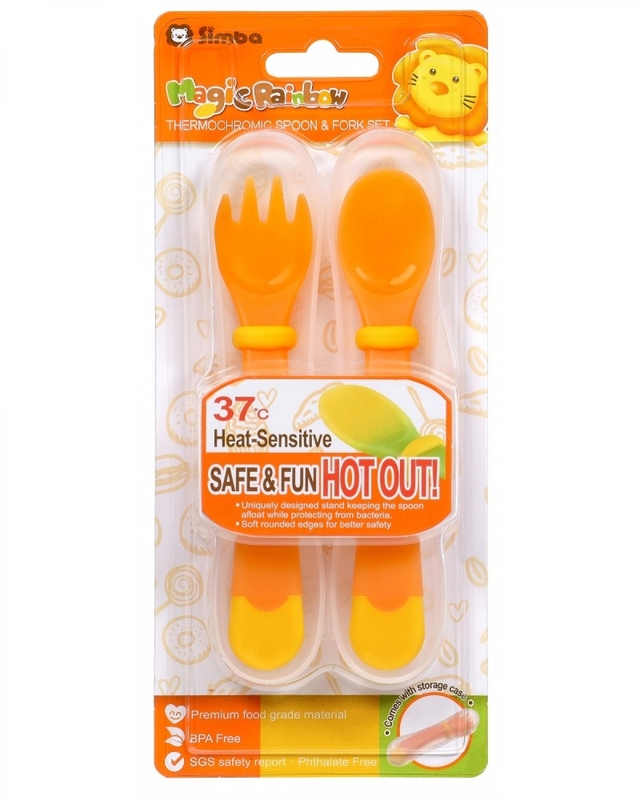 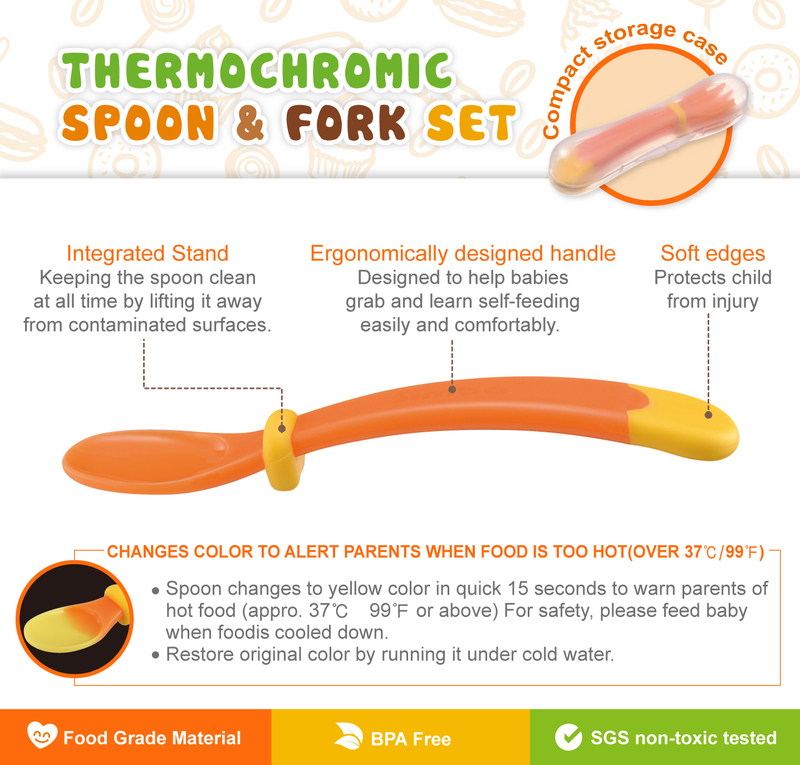 3.Spoon changes to yellow color in quick 15 seconds to warn parents of hot food. 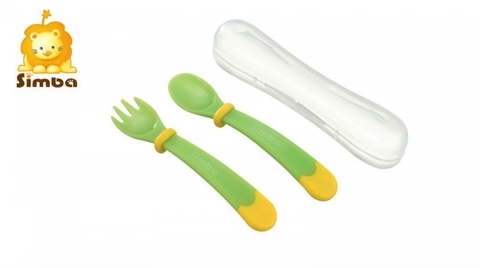 4.Integrated stand─Keeping the spoon clean at all time by lifting it away from contaminated surfaces. 5.Ergonomically designed handle─Designed to help babies grab and learn self-feeding easily and comfortably. 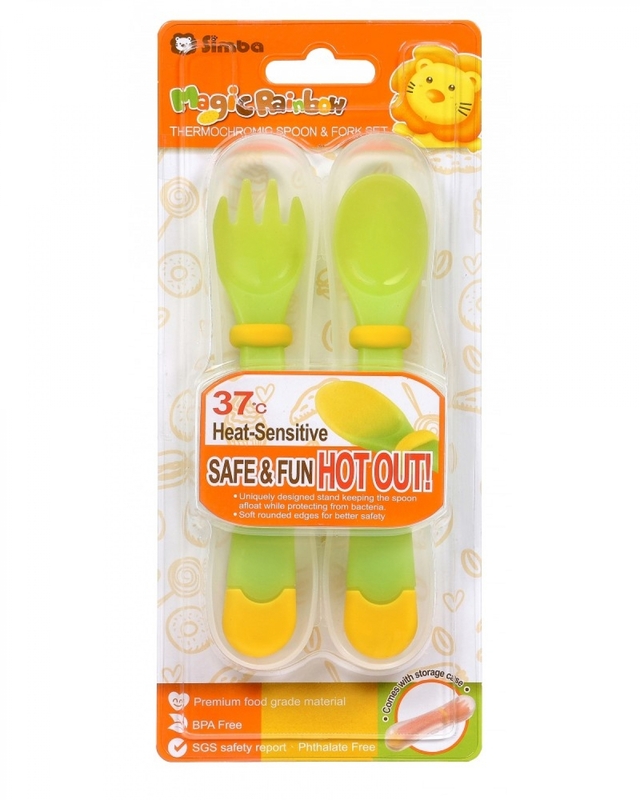 6.Soft edges─Protects child from injury.